Rahul has over 18 years of experience in MNC’s & Indian Organizations across sectors ie FMCG ; Manufacturing ; Heavy Engineering ; Textile ; Financial Services & BPO / ITes where he has served in senior Management & Leadership roles across the entire canvas of Human Resources. He has been part of global task-forces & driven key organization wide initiatives across South Asia, South East Asia ; Middle East ; UK & the US. He has been the recipient of the Global Chairman’s Harvey-Russell Award for work done in the area of Inclusion & Diversity at PepsiCo in 2007. He was also the recipient of the 9th NCPEDP-Shell Helen Keller Award for work done in the area of Specially Abled employment. He was recognized as the “HR Professional of the Year” in 2010 by the Employer Branding Institute of Australia at the World HR Congress event in Mumbai. 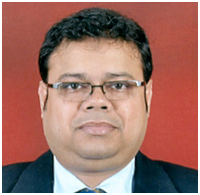 He is currently in the role of Director – Human Resources at Capita India.